The boys boxing gloves personalized Christmas ornament is a great way to celebrate a young man's involvement in what's been called the sweet science. 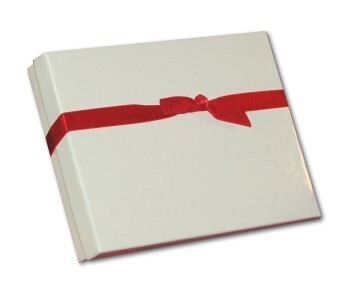 We'll add his name and a year to the gloves as shown before placing them in our custom velvet bag as our gift to you. You'll find many other sports represented in our large selection of sports ornaments, so you'll have something special for each athlete on your gift list. 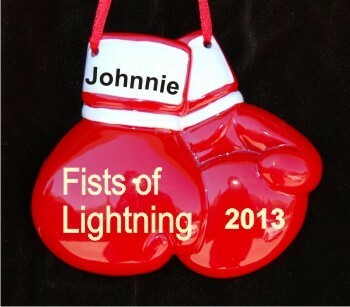 Give a gift that packs a punch - the boys boxing gloves resin ornament from Russell Rhodes.